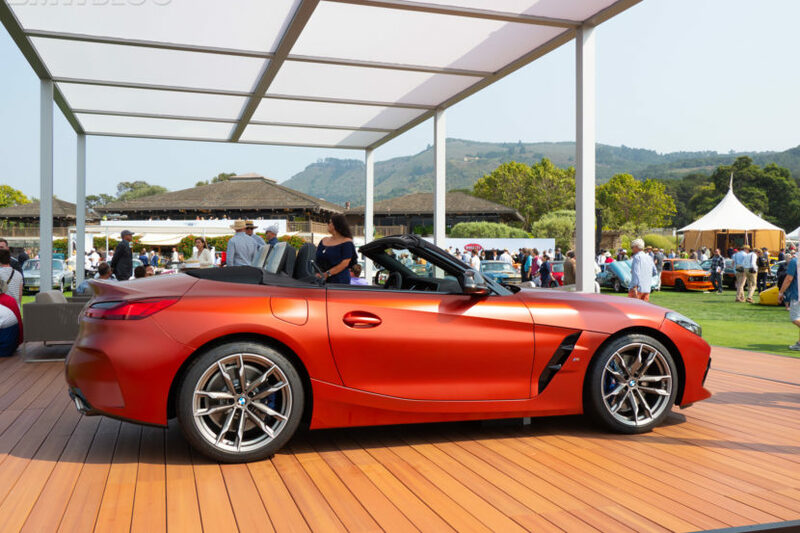 The new two-seat roadster 2019 BMW Z4 M40i First Edition debuted this week at Pebble Beach Concours d’Elegance. The vehicle’s reveal comes a year after BMW delivered a concept version of the Z4 Roadster at Pebble Beach. 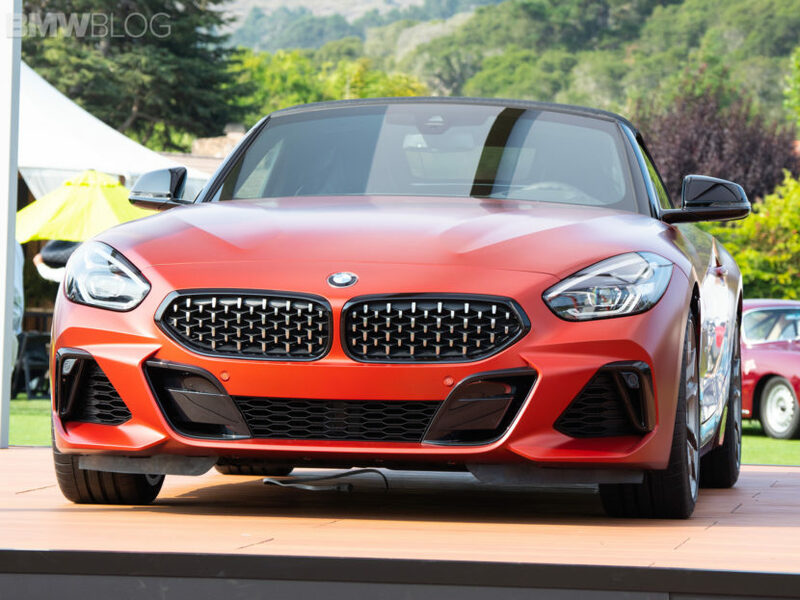 The new Z4 stays true to the concept that debuted at Pebble Beach last year, with a long hood, short overhangs, vertically stacked headlights and a dual kidney grilles, but instead of vertical slats they get a 3-D mesh pattern finished in black. BMW gave the new M40i First Edition an M adaptive suspension with electronically controlled shock absorbers. It will also have M Sport brakes and an M Sport rear differential. 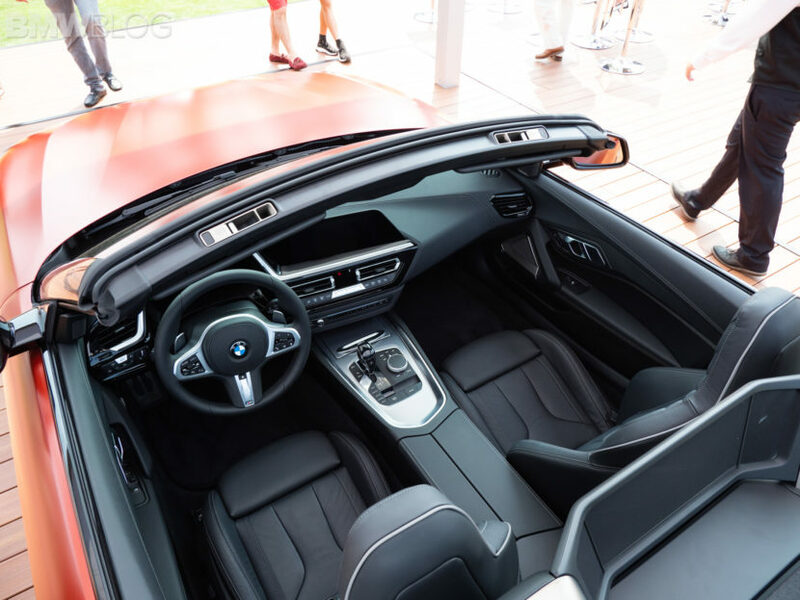 First Edition models feature a number of options from BMW’s Individual program of exclusive colors and materials, including Frozen Orange Metallic paint, decorative stitching on black leather seats and gloss-black interior trim. The Z4 M40i First Edition will also come with BMW’s Live Cockpit Professional, a digital gauge cluster with two displays.